This week, Your News to Know rounds up the top news stories involving gold and the overall economy. Stories include: The “mother of all bubbles” keeps gold in focus, the U.S. dollar drop could send gold prices soaring, and gold steady as U.S. political woes keep dollar in check. Frank Holmes, CEO of U.S. Global Investors, recently discussed the mountain of debt we’re currently facing, which some are calling “the mother of all bubbles”. Of the numerous risks looming on the horizon, Holmes believes that this increase in global debt could have the most serious ramifications. Holmes points out that global debt has risen by nearly $120 trillion in the last decade, going from around $150 trillion before the financial crisis to the current levels of $217 trillion. Global debt is now equal to 327% of world gross domestic product, which could pour over into a crisis worse than those that followed the previous two bubbles bursting. Aside from the virtual impossibility of paying down this inflating debt, Holmes also notes that unfunded pensions could reach $400 trillion by 2050, as estimated by the World Economic Forum. While these things strengthen the already sound long-term case for gold, Holmes says that the short term looks appealing as well. Despite five-year Treasury yields rising since the start of the year, which would usually pressure the metal, gold is up 8% year-to-date, aided significantly by a U.S. dollar that recently entered into a bear market. Furthermore, the metal has maintained its level despite a soaring stock market and rising rates, a feat Holmes finds particularly encouraging. He adds that data from BullionVault shows private holdings among its users reached a record 38 tons at the start of July. With both the short- and long-term cases for the metal as strong as ever, Holmes asserts that we will undoubtedly continue to see increases in appetite for bullion by investors who understand the mounting risks around the globe. There appears to be no end to the dollar’s downward trajectory as the greenback has declined 9% year-to-date, driven both by the Trump administration’s perceived inefficiency and the lower likelihood of further interest rate hikes. Multiple analysts see gold prospering due to the sinking dollar. Phillip Streible, senior market strategist at RJO Futures, predicts that gold could reach $1,300 and silver $18 in the near future. Interestingly enough, even if the greenback manages to shake off its losses, the yellow metal could still perform well, as a recent Citigroup analysis argued that the correlation between the dollar and commodities is no longer there. 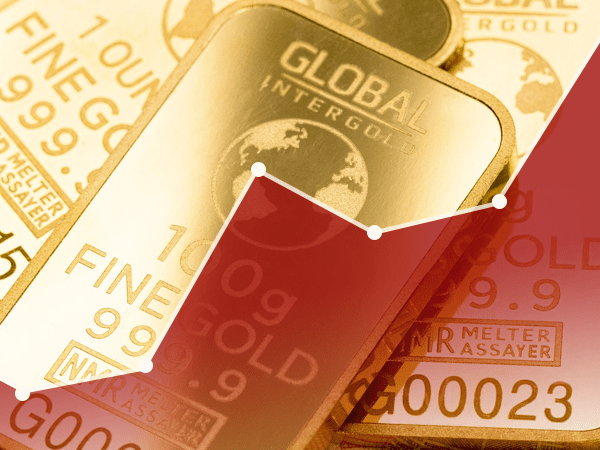 As the dollar index consolidates between 92 and 100, Craig Johnson, chief market technician at Piper Jaffray, believes a key low could help gold post significant gains. Johnson sees the dollar index falling below the 92 mark, especially in the wake of the Federal Reserve’s announcement last Wednesday that it would leave its federal funds target rate unchanged and start winding down its balance sheet. “If we start breaking below that, I think you are going to see some consequences where people are going to really start to question the economy, the strength in it … but at this point in time I would be waiting for that confirmation at 92,” he said. Gold recently hit a four-week high amid political uncertainty in the U.S., reaching $1,257 an ounce. Ongoing doubts over the passage of Trump’s stimulus and tax reform agendas continue to push down on the dollar, which dropped to a 13-month low. Aside from making dollar-denominated gold more attractive for foreign currency holders, a weakening greenback also creates the kind of political and financial uncertainty that the yellow metal thrives in. After dovish statements following the Fed’s meeting, gold is in a prime position to pass a key level of $1,261 an ounce. That’s according to Reuters technical analyst Wang Tao, who believes that multiple factors make this an important resistance level, the breaking of which would solidify the continuation of the rally in gold.